I am a huge LOTR, and J.R.R. Tolkien fan. Not to mention an all around nerd. When they announced that they were going to make The Hobbit into a movie, and even better, that Peter Jackson was directing again, I was really happy and looking forward to it. Even better, fellow mod and actor Martin Freeman was set to play Bilbo. Excellent choice! After waiting a couple days for the insane hoards of nerds to subside at the theaters, I went yesterday morning to see it. I’ll say this: I really like it. But I have a question for you. Even being the purist that I am, I dug some of the changes to the flow of story, and also their decision to throw in a lot of the background story that leads up to Lord of The Rings. Although it wasn’t talked about in The Hobbit, J.R.R. Tolkien explains a lot of it in the Appendixes and in the beginning bits of LOTR: Fellowship of the Ring. My qualms with it were adding in large scenes, that totally didn’t happen at all. But you can’t ask for everything. 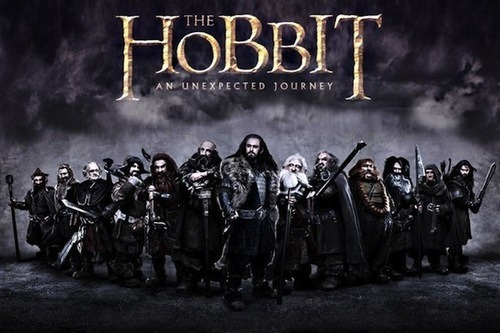 So with that, my question for you this Monday is: Is it ok to deviate from a story like The Hobbit, foregoing the cut and dry direct approach, if it helps connect viewers with the characters, storyline, and to give context by explaining in-depth backstory? Tagged: mod, martin freeman, The Hobbit, Lord of The Rings, J.R.R. Tolkien, nerds!